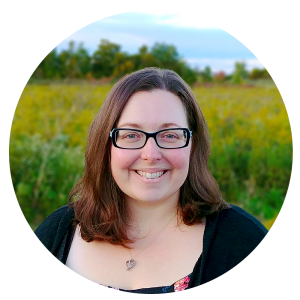 If you’re familiar with some of the patterns I’ve already released on the blog, you may have noticed that I LOVE texture. I am always looking to try to apply new and different textures to projects to see what I come up with. This week’s free crochet pattern is no exception. My Tiny Pebbles ear warmer pattern is beginner-friendly and works up in a flash. 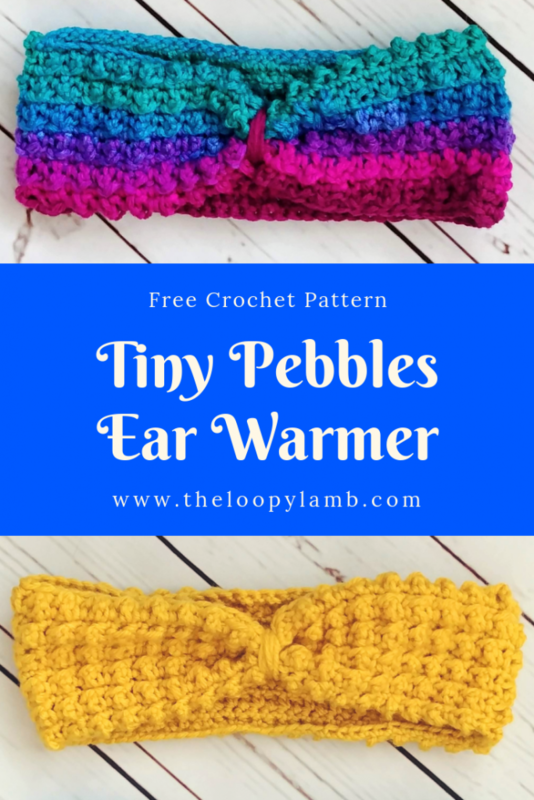 If you can do single crochet and a triple/treble crochet, you can make this ear warmer. Alternating the single and triple/treble crochets, it creates this lovely little pebbly-looking texture. To finish the ear warmer off, I use a length of yarn to wrap around the seam which hides it and gives the ear warmer a seamless look. Crochet ear warmers make a great stocking stuffer or gift. Because it works up quickly, you can whip up a bunch fast if you’re inclined to sell your finished items at craft sales. I personally love them for being able to stuff them in my pocket or purse so I can keep my ears warm when it’s windy or cool but I’m not feeling like rocking a hat. My Tiny Pebbles ear warmer satisfies my love of texture and my need for something cute that can be stuffed in my pocket when I’m done with it. That’s a win in my books. Yarn: Size 4 Yarn – I used Bernat premium in Gold, Med. Heathered Grey and Red Heart Super Saver in Polo Stripes. Size: Fits an adult’s head between 20 – 22” as written. Notes: Gauge is important to ensure a proper fit. Slip stitch or sew the two sides together to form a band and leave a long tail of yarn approximately 12 to 14” long. 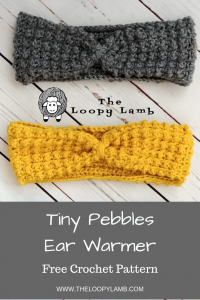 Squeeze the top and bottom of the ear warmer together and wrap the long tail of yarn around the seam approximately 6 to 8 times or until you get the look you want. Secure the yarn and weave in your ends. Want to adjust the size? Chain an even number of stitches to your desired length. That’s it! Super easy, right? Is this written in US or UK terms? Thank you so much for the pattern!